The term ‘chronograph’ is composed of the two ancient Greek words ‘chrónos’ and ‘gráphein’. Which means ‘time’ and ‘write’. The term thus describes watches with an additional stopwatch function. A chronograph is a must have for every watch lover, so we thought of showing the 6 best chronograph watches below 10k. How do I distinguish a chronograph watch from others? 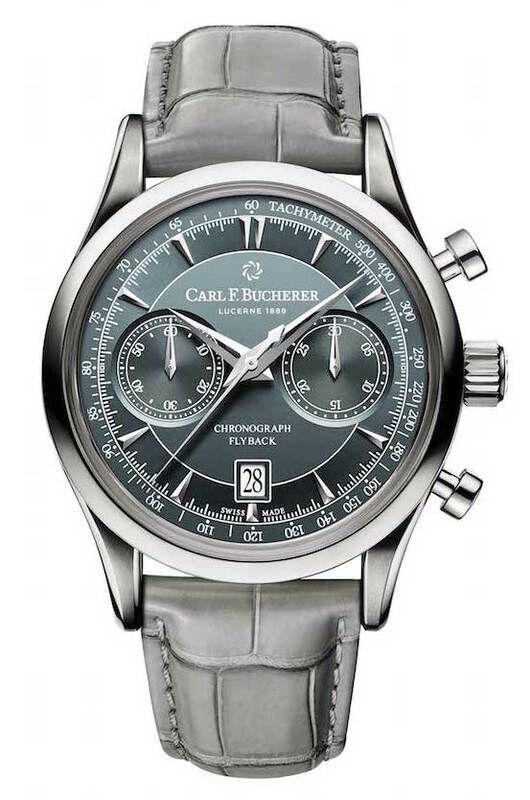 Chronographs are typically characterized by two pushers allocated next to the crown and a few additional small dials (called “totalisers”) on the main dial where seconds, minutes and hours are indicated. Starting the chronograph, seconds are shown by the large clockhand. Unsurprisingly, this technique was used for aviation at the beginning of the 20th century. 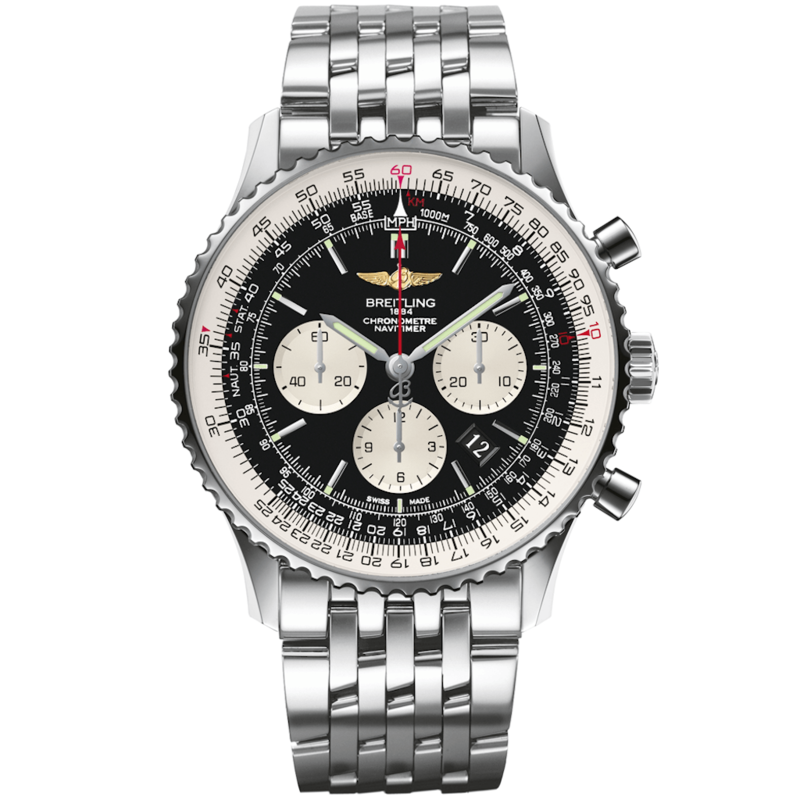 Accordingly, you will find a lot of pilot’s watches within the chronograph world. We will explain that in detail later. When shall I wear a chronograph watch? They are so to say the ideal ‘daily driver’. Your everyday-watch. A mixture of sportiness, elegance and a statement. 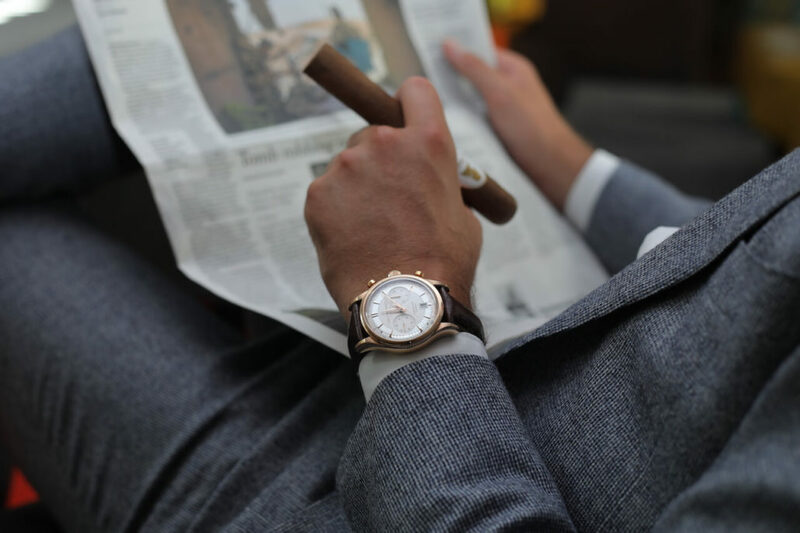 The following watches are all easily combined with various dress codes such as Smart Casual or Business Casual. The best chronograph watches below 10’000 CHF are a popular topic among our readers and definitely not easy to answer. All the timepieces listed below are an excellent choice in terms of beauty, quality and reliability. Once again the choice was far from easy. 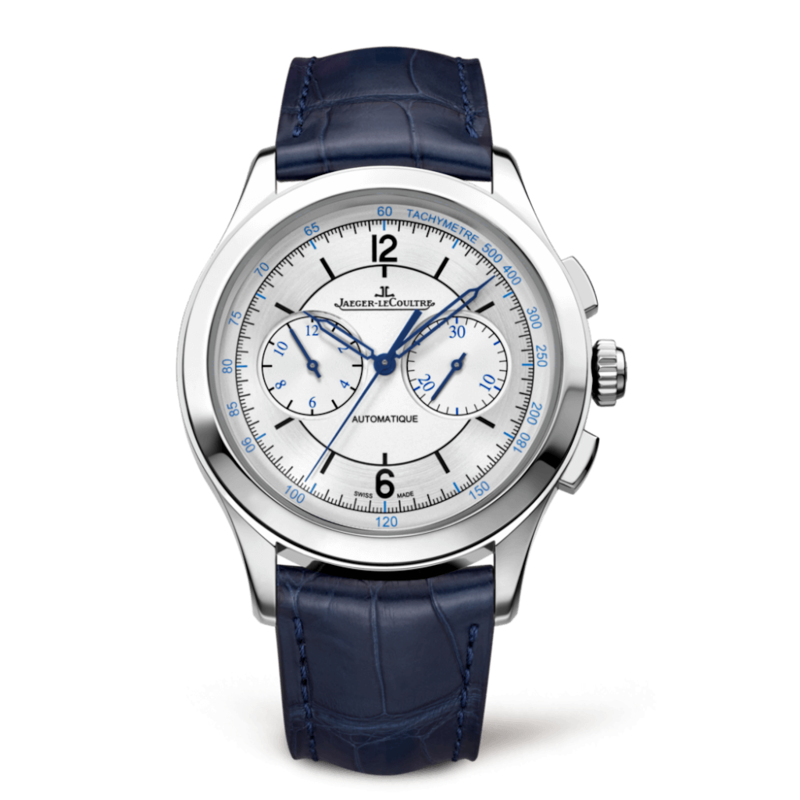 One or another brand listed here, offers other beautiful chronographs in the assortment. Our top 5 is deliberately not numbered because it should not be a ranking list. The first watch worn on the moon and a must-have in every watch collection of a gentleman. 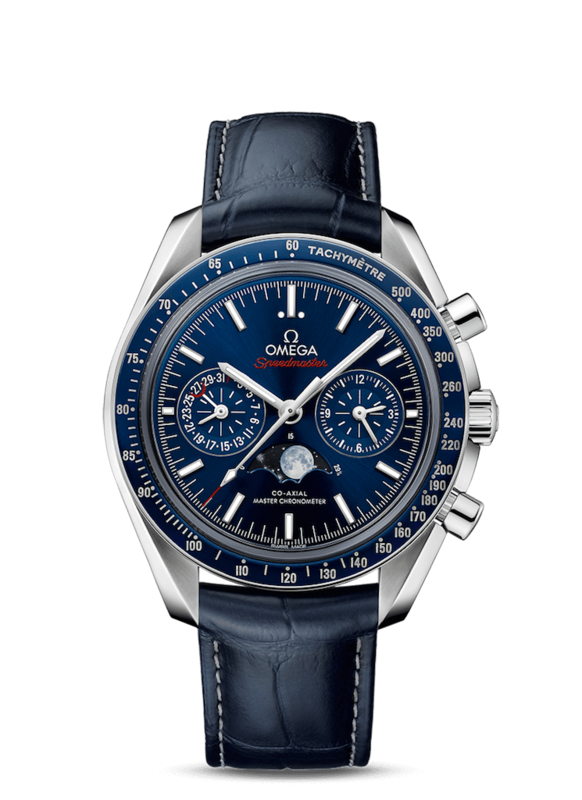 The Speedmaster, which has been part of all six moon missions, is one of OMEGA’s most legendary timepieces. In line with the discovery spirit, this new speedmaster contains two small moons. Manufactured self-winding chronograph with column wheel and Co-Axial escapement. Certified Master Chronometer, approved by METAS. Calibre 9904. Antoine de Saint-Exupéry was a recognized author and a lover of aviation. His book, ‘Le Petit Prince’, is a world famous bestseller. 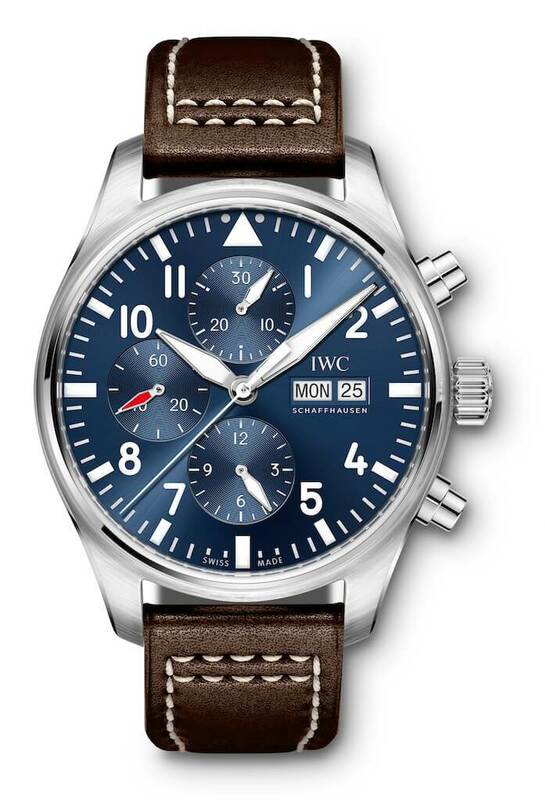 IWC takes the theme of Saint-Exupéry’s petit prince with a special edition and presents this beautiful double chronograph. Innovative display of the weekday. Where shall we start? Official supplier of aviation. Inventor of the modern chronograph. A legend on the wrist. Lovers of mechanical watches will appreciate the simple design of this model. With its modern look and distinctive vintage accents, the Master Chronograph inspires everyone who is looking for a touch of genuineness. A clear view of a legendary mechanism: The famous Chronomaster El Primero «Full Open» by Zenith is justifiably named by its heart, performance and precision thanks to its fully opened and skewed dial. This chronograph beats at a high frequency of 36’000 Vph, or 5 Hz, which makes it one of the fastest and most precise industrial chronograph. 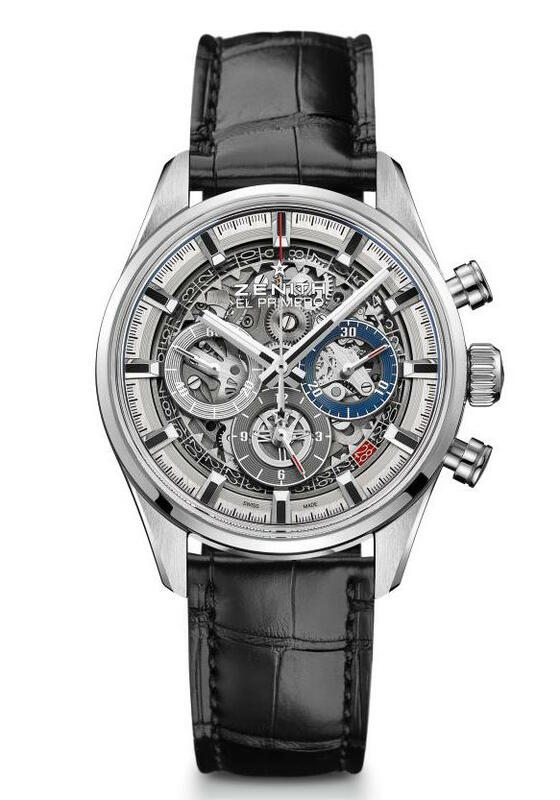 This handsome version of the Manero Flyback was presented at the Baselworld this year. It includes timeless elegance, sportiness and watchmaking at its finest. It is outstanding in terms of price/quality, since you get a very sophisticated movement for this amount of money. A flyback chronograph is a complication watch, in which you can use the reset function without the need to first stop the chronograph. In regular chronographs you need to stop, reset, and restart the chronograph if you want to time an event after you have started the chronograph.